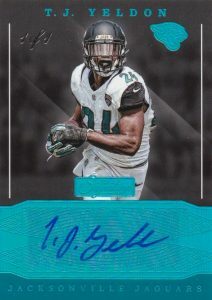 Offering collectors a follow-up from last year's product, Panini's 2016 Donruss Signature Series Football is only about the autographs. Each hobby box features four signed cards with one being a parallel limited to 50 copies or less. 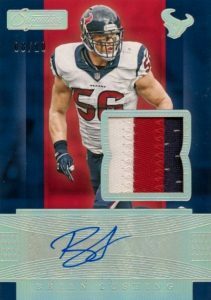 Built around a massive autographed set, 2016 Donruss Signature Series Football totals 300 Signature Series base cards while Rookie Jersey Signature Series is the place to find top 2016 draftees with both an autograph and relic. 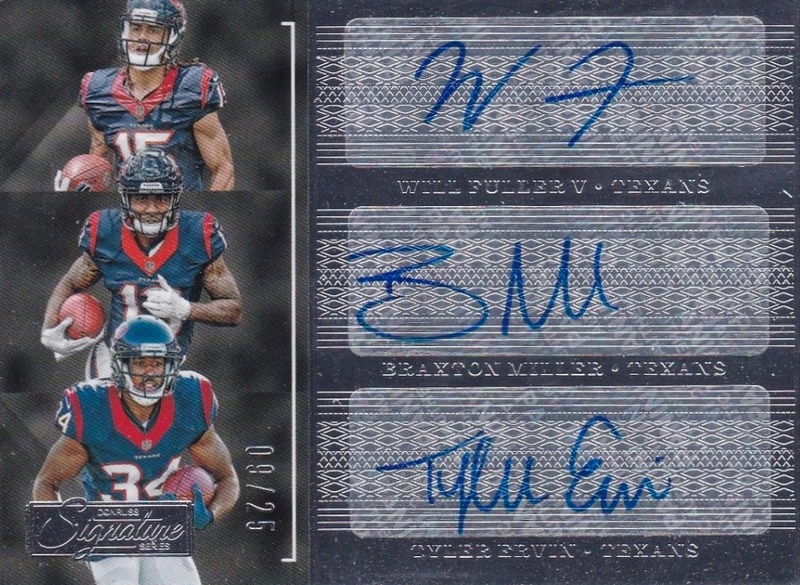 2016 Donruss Signature Series Football also features other autographed inserts with a mix of themes. 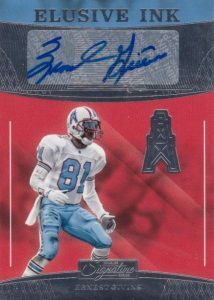 Elusive Ink concentrates on those players with only a few pack-pulled, certified autographs currently available. Team Trademarks opts for a franchise focus and Award Winning Signatures honors the former MVP winners. Finally, multi-signed options include Signature Pairs, Trips, Quads, Sixes and Eights, while Signature Prime inserts add a premium relic swatch for NFL stars. The entire 2016 Donruss Signature Series Football release is further enhanced with Holo Silver, Holo Gold, Gold and Platinum parallels. 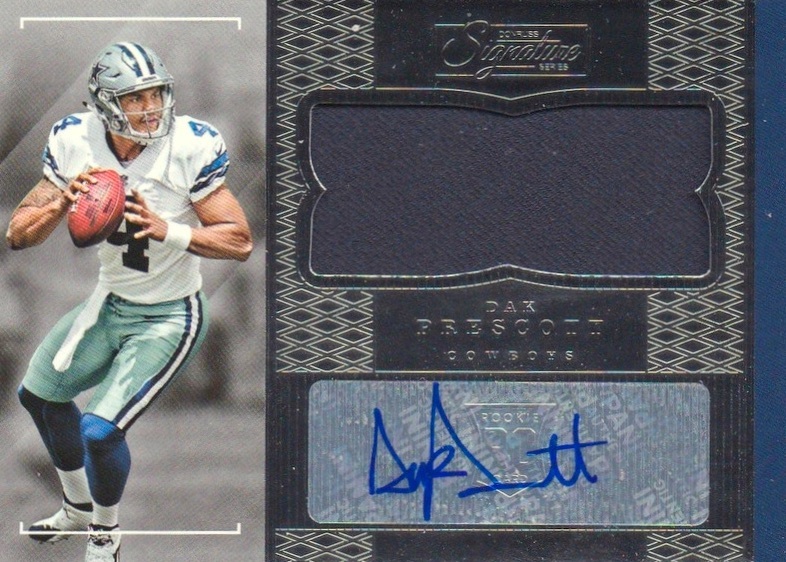 Every hobby box includes one of these parallels, numbered to 50 or less. 2016 Donruss Signature Series Christian Okoye AUTO Card, Elusive Ink, Chiefs! 152 cards. *Cards found only in parallels noted below. PARALLEL CARDS: Holo Silver #/50 or less, Gold #/25 or less, Holo Gold #/5 or #/2, Platinum 1/1. 52 cards. *Cards found only in parallels noted below. PARALLEL CARDS: Holo Silver #/50, Gold #/25, Holo Gold #/15, Platinum 1/1. 33 cards. *Cards found only in parallels noted below. PARALLEL CARDS: Holo Silver #/50 or less, Gold #/25 or less, Holo Gold #/15 or less, Platinum 1/1. 35 cards. *Cards found only in parallels noted below. 85 cards. *Cards found only in parallels noted below. PARALLEL CARDS: Gold #/3, Platinum 1/1. 40 cards. *Cards found only in parallels noted below. 23 cards. *Cards found only in parallels noted below. 7 cards. Serial Numbered #/2. 4 cards. Serial Numbered #/2. 30 cards. *Cards found only in parallels noted below. PARALLEL CARDS: Holo Silver #/50 or less, Gold #/20 or less, Holo Gold #/15 or less, Platinum 1/1. Shop for 2016 Donruss Signature Series Football boxes on eBay. Just watched a case break on YouTube, nothing but hot garbage. Check it out. Ugh more sticker autos !! 250 points come on panini. More little babies crying how pathetic. All of the above standouts for the low price of $125. Gotta love it. Great checklist! Wonderful when they include autographs of cult type favorites rather than the same ol’ same ol’. Keisel, Ninkovich, Saturday, Kuhn, Vrabel, Bruschi to name just a few. Not a great fan of the card designs – but love the players included! Broke a box and pulled 2 of the same exact card – future HOFer Kenjon Barner (sarcasm). That is pathetic seeing how there are only 4 cards in the box! If I could rate this product 0 would. Have broke 15 inner cases of this and only 2 of them were decent. Broke the last one just a couple hours ago and the best card in 4 boxes(supposed to be 32 autos) was a Joe Thomas patch auto /50. And while promising all autos there were also 3 points cards in place of the autos in 4 boxes. 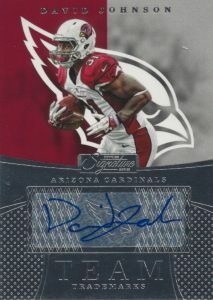 I really hope panini either 1 scraps this product or 2 revamps it and takes away at least 50% of the junk hits! Severely disappointed and while 2015 was bad 2016 was worse! 2016 PANINI DONRUSS SIGNATURE SERIES FOOTBALL HOBBY SEALED BOX - HOT!! 2016 PANINI DONRUSS SIGNATURE SERIES FOOTBALL HOBBY SEALED BOX - IN STOCK!